‘Young and the Restless’ Spoilers: Phyllis vs Everyone – Can She Stop Jabot Takeover? Young and the Restless spoilers indicate Phyllis Abbott looks out for herself in court and at work, but can she stop the Jabot coup? 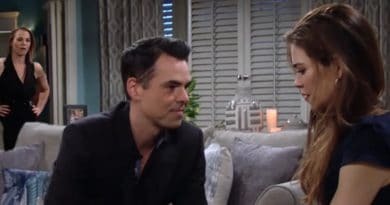 Young and the Restless spoilers for the next two weeks reveal that Victoria Newman gets defensive, while Phyllis Abbott protects herself. Young and the Restless spoilers reveal that Nick Newman dumps Phyllis Abbott as she confesses in court and rats out everyone he loves. 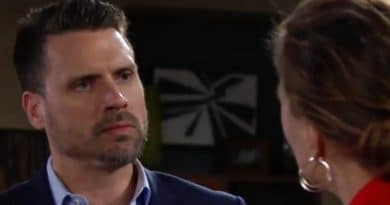 Young and the Restless spoilers reveal that Nick Newman leaves his girlfriend Phyllis Abbott after she betrays his whole family. ‘Young and the Restless’ Spoilers: Will Nick Support Phyllis or His Family After Arrests? 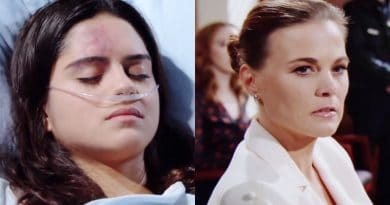 Young and the Restless spoilers reveal that Lola Rosales lands in the hospital, while Phyllis Abbott seeks to find a way to save herself. ‘Young and the Restless’ Spoilers: Phyllis Investigated — Police Closer to JT Truth? Young and the Restless spoilers reveal that Phyllis Abbott is investigated in the next week. Are the police closer to the truth? 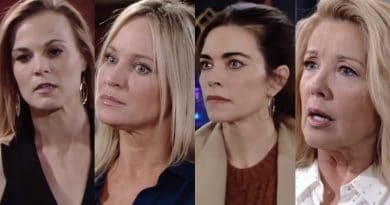 Young and the Restless spoilers show Nick Newman re-thinks his relationships with Sharon Newman and Phyllis Abbott after JT’s murder reveal. Young and the Restless spoilers reveal that a leaked script shows Phyllis Abbott is arrested, while the cover up gang is also busted.